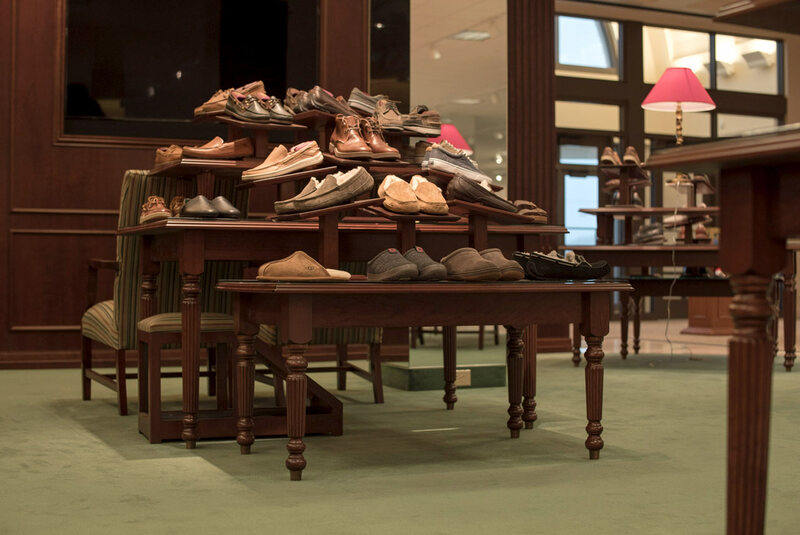 These varied footwear display options all effectively highlight the product while maximizing display space. 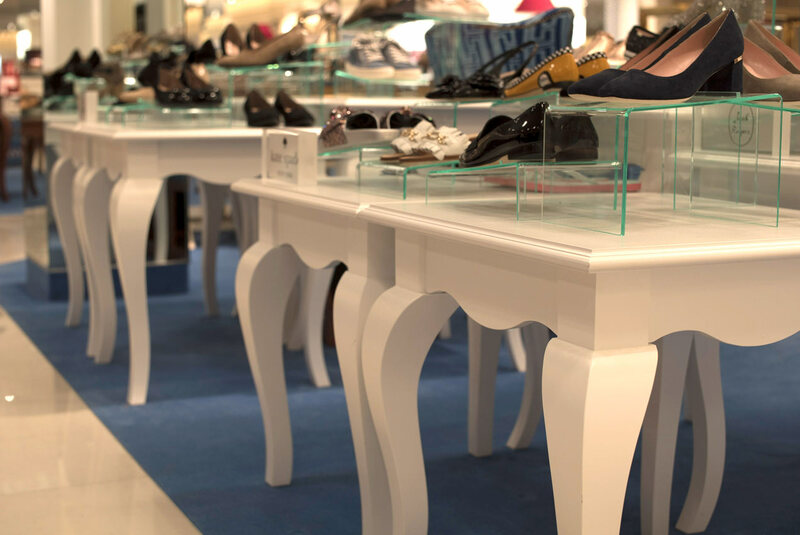 The white tables were crafted for a women’s salon shoe department and offer an air of modern courtly elegance boasting a simplified twist on the Queen Anne leg. 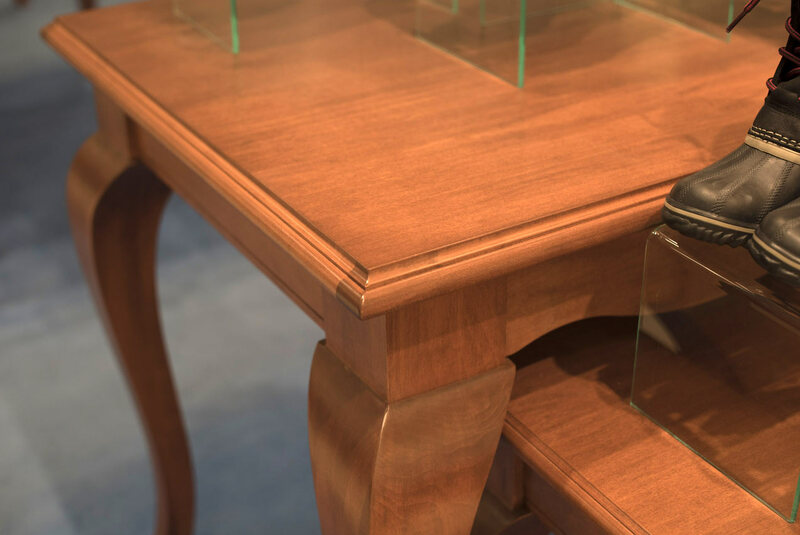 The nested table set stands on beautifully fluted legs, and its wood shoe risers allow a high volume of product to be neatly displayed in this tight space. 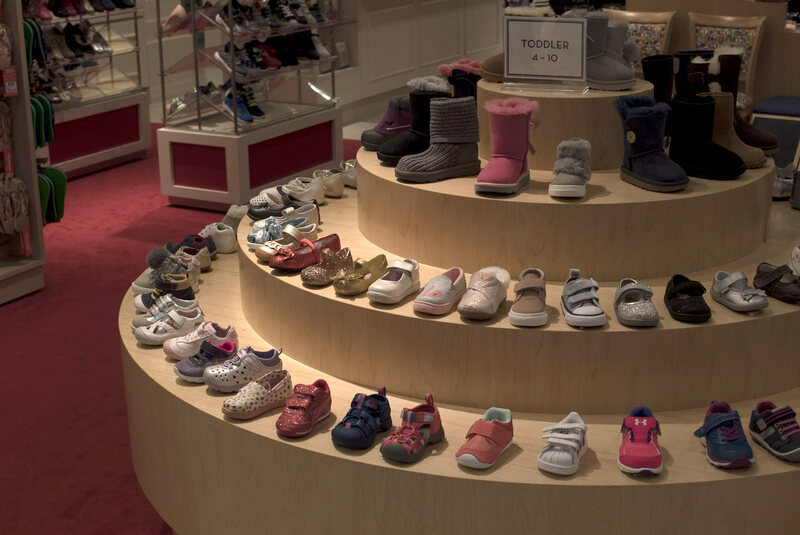 This children’s half-round, tiered display showcases a wide range of options in a format that’s friendly to little shoppers and their parents alike.